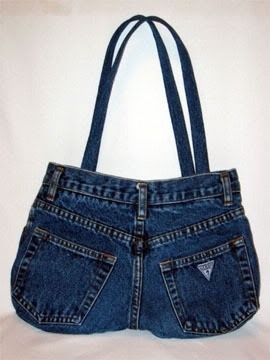 Do you have a bunch of old jeans that no longer fit you or are too outdated to wear in public? 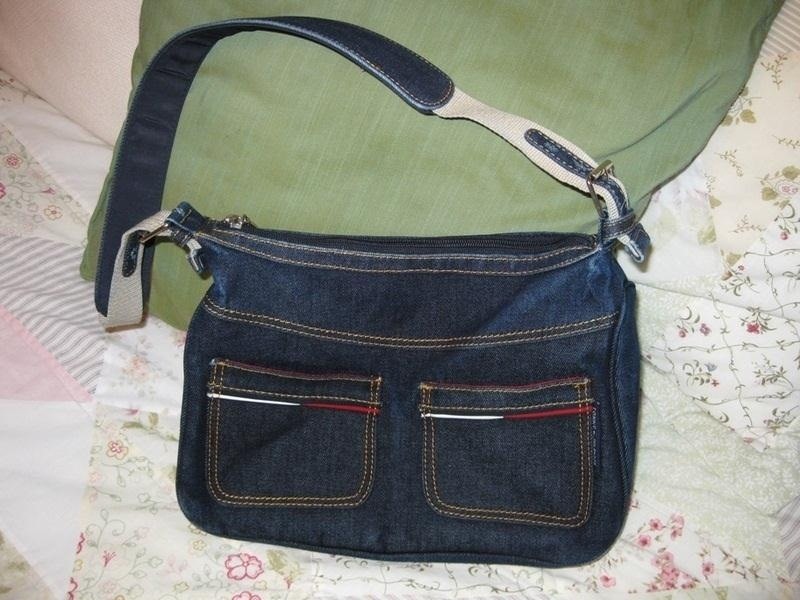 If you are handy with a sewing machine, the possibilities for upcycling your jeans into something crafty are endless. 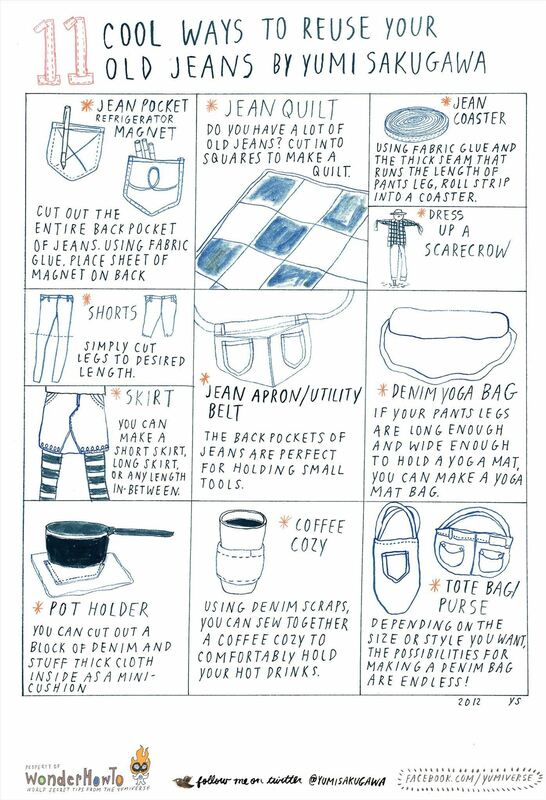 You can update your old denims into a jean tote bag, yoga mat bag, quilt, or a super-handy utility belt (or mini-apron). For simpler projects, you can turn your jean pockets into refrigerator magnets for holding your pens and other small office supplies, or use the thick seam that runs along the pants legs to make a super-easy denim coaster for your drinks. Not really the crafty type? If you don't plan on upcycling your old jeans, don't forget that you can always donate them to your local Goodwill or Salvation Army. Or you can give them to your backyard scarecrow. Got your own ideas for reusing old jeans? Share with us by commenting below!